Whether you're age four or age forty, Broadway bound or just in it for the fun, Miller Marley has a class for you. Start at any age, for any reason. Be assured that you will receive the quality training and attention you deserve. to find the one that's right for you. In order to educate students in the most efficient and beneficial manner, our classes are designed in a system of graded levels that build cumulatively to more advanced levels of learning. Children can relate to the process of moving from one grade level to the next just as they would in traditional school. Grouping students according to ages and skill levels allows us to tailor the material and our teaching methods to meet the needs of every student. To ensure the integrity of each class and the proper improvement of each individual, all classes follow a curriculum and are structured within a given format. Age 18 mo. to 24 mo. This 30-minute class, for toddlers ages 18-24 months and a parent or caregiver, is a fun exploration of movement to music. Introductory ballet skills are introduced using stories, props, and children's sing-a-long songs. Our toddler dancers should come ready to move and groove- ballet shoes are optional. Dance for Tiny-Twos is a magical introduction to the world of song, dance, and make-believe! Students will explore music and movement through guided activities in a playful and structured environment designed for the imagination and attention of two-year olds. They will practice listening skills during story time, and learn patience in classroom environment, as well as taking turns, sharing and making friends. Props, costume accessories, and themes provided and will enhance exploration and movement in this 30 minute class. Our Preschool / Kindergarten Combo classes provide a delightful introduction to dance for our youngest students. Each 45-minute session includes 20 minutes of Tap and 20 minutes of pre-ballet, creative movement and pre-jazz, taught on a rotating basis. Preschool 2 is a continuation of Preschool 1. 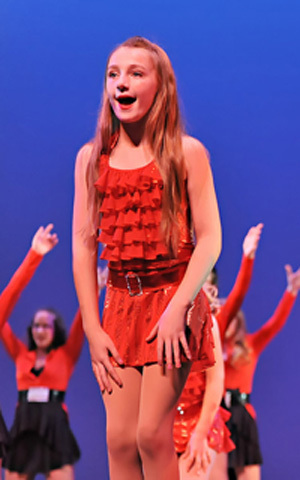 Specialty song and dance routines complement the program and reinforce performance skills. The curriculum is age-appropriate with attention to the development of coordination, cognitive ability, listening skills, responsibility and overall dance class etiquette. Our Combo Classes are the next level of training following the Kindergarten Combo. With longer attention spans and a general understanding of the fundamentals, children continue their training with material that is more challenging. Each session includes tap and then pre-ballet, creative movement or pre-jazz, taught on a rotating basis. Specialty song and dance routines complement the program and reinforce performance skills. Pre-Ballet explores the beginnings of ballet fundamentals and the love for dance. This class offers a modern teaching of traditional ballet and dance expressions, instructed in a fun and creative environment. Young dancers are taught introductory ballet technique, etiquette, and body awareness. Students will learn how dance is utilized to tell a story, and how grace is practiced in and out of the dance studio. Students are encouraged to be respectful, try their best, and have fun. Girls are required to wear a pink (skirt-less) leotard, pink tights (no undies, her tights are her undies), and pink ballet shoes (please double knot ties and tuck the bows inside the shoe). Hair must be out of the face in either one or two buns. Small hair clips or bows may be worn if they are not distracting in class. Boys are to wear a white T-shirt, black shorts, and black ballet shoes. Classical Ballet is offered in a progressive program from pre-ballet through advanced. Ballet training provides the foundation for all other forms of dance and a solid technical preparation from which dancers can transfer their skills into any other form of dance. ● A "physical awareness" of the proper technique, body alignment and muscular control necessary to execute the movements of classical ballet. ● The acquisition of ballet terminology, an understanding of ballet barre work and the development of turnout. ● The exploration of combinations, variations and traveling patterns done centre floor. ● A reverence and respect for the art of classical ballet with attention to the appropriate classroom discipline and etiquette necessary to the student's artistic development. It is one thing to have the ability to dance. It is yet another thing to have the ability to communicate your art to another person. Our four ballet instructors have been selected for their demonstrated success not only as dancers, but also as gifted educators. ● The correct technique by which the male must physically support and lift his partner. ● The development of muscular strength and control with attention to the safe execution of all movements as they pertain to all inherent factors in the partnering relationship. ● A preliminary warm-up that consists of stretching and strengthening exercises. ● Progressions or traveling combinations done across the floor. ● Combinations to review previously learned material and to practice newly acquired skills. ● Original dances that feature traditional jazz movements combined with elements of ballet, lyrical, hip-hop and theatrical style dancing, complemented by a variety of music from pop to Broadway. ● Our students benefit greatly by having the opportunity to study with five Jazz instructors, each of whom lends his/her particular expertise and unique style to our Jazz program at Miller Marley. On Broadway, the resurgence of revival shows has brought about an increasing demand for dancers who are trained in traditional jazz technique. Jazz dance is a key element in the development of musical theater choreography. 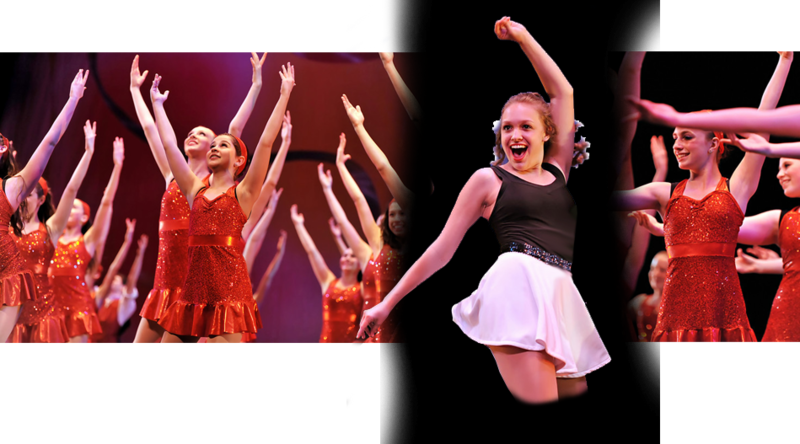 Broadway Jazz introduces students to theatrical style dancing reminiscent of Tony Award winning choreographers that include Bob Fosse ( Chicago ), Michael Bennett ( A Chorus Line ), and Jerome Robbins ( Westside Story ). In addition, the class will reflect the styles of legendary innovators in the art of jazz dance such as Gus Giordanno and Charles Kelley. ● A preliminary warm-up and stretching for increased flexibility. ● Combinations that reinforce the technical and artistic components of Broadway Jazz. ● A study of the works of renowned choreographers to create an appreciation of the American art form of jazz dancing. ● Simulated Broadway dance auditions to provide valuable insight for those who aspire to dance professionally. ● Theatrical style dances complemented by music from the award-winning scores that comprise the rich heritage of American Musical Theater. ● Hip-Hop terminology along with proper technique for executing the movements. ● Age-appropriate routines from beginner to advanced that integrate Hip-Hop moves with funk and jazz technique. ● Popular music that has been screened in advance for acceptable lyrics and content. ● Developing proper technique for the safe execution of the turns, jumps and leaps used in all forms of dance. ● Integrating skills into progressions that challenge students across the floor and in combinations. Lyrical Jazz is offered for Jazz 5 level and up students who have demonstrated an advanced level of technical mastery. Lyrical Jazz integrates jazz, ballet and modern dance techniques while focusing on self-expression and the interpretation of contemporary music. ● A preliminary warm-up that emphasizes technique and combinations to practice acquired skills. ● The reinforcement of concerted listening skills helpful to the assimilation and execution of tap combinations. ● Shirley Marley's signature tap routines that have been learned and loved by thousands of her students. Each tap instructor is a former student of Shirley Marley and fully trained in the Marley method. This class utilizes a Horton-based modern technique. This technique was specifically developed to produce the strongest dancer body possible by focusing on critical muscle groups. This is accomplished through exercises challenging balance, core work, and lateral movement. Tumbling 1 will consist of handstands, front limbers, right and left cartwheels, working on technique to move on to more advanced skills. Having a front limber and cartwheels on both sides is a requirement for Tumbling 2. Tumbling 2 will work on front and back walkovers, front and back handsprings and aerials, continuing our emphasis on technique of all basic skills. Tumbling 3 is for students who are able to do front and back walkovers as well as a front and back handspring with a spot. Tumbling 4 is for students who are able to do pike front arabians, back extension rolls and round off back handsprings. ● A preliminary warm-up that focuses on technique and acquisition of basic skills. ● A cumulative approach that builds each week on previously learned skills and prepares the students for more challenging material. ● Original dances based on Broadway style tap dancing that emphasize performance skills and overall dance technique. Our music theatre classes introduce students to all elements of performing in musicals. Classes will cover proper vocal technique, song interpretation, basic theater terminology, basic music theater movement, and audition skills. These classes strive to educate the students and give them a fun environment in which to practice and refine their performance and audition skills.